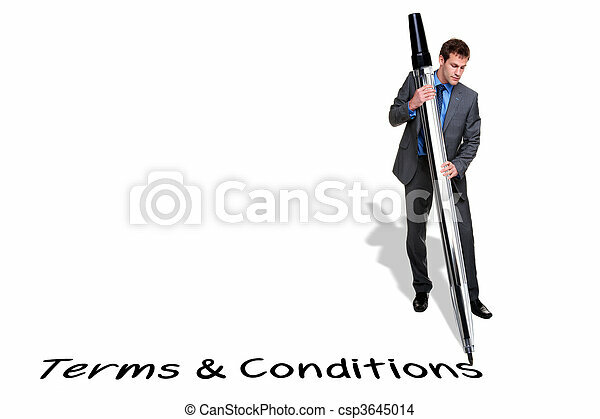 Businessman writing terms and conditions with a giant pen. 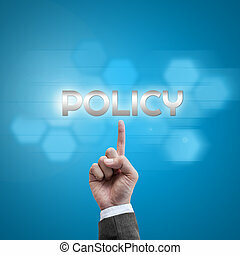 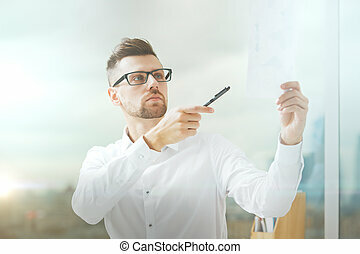 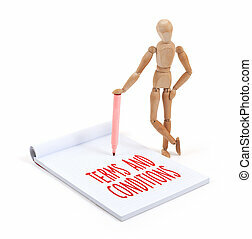 Businessman writing the words terms and conditions with a giant pen, isolated on a white background. 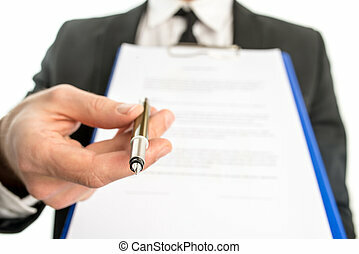 Front view of a businessman offering you to sign a document with focus to the text Terms and Conditions. 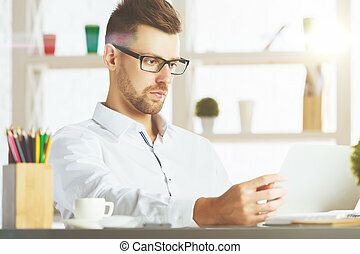 Businessman writing at his desk in a low angle view with a tablet computer in the foreground with sunlight reflections on the screen in retro toned image. 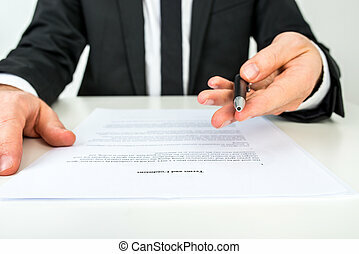 Businessman or salesman handing over a contract attached to a clipboard for signature offering a ballpoint pen in his hand with focus to the pen. 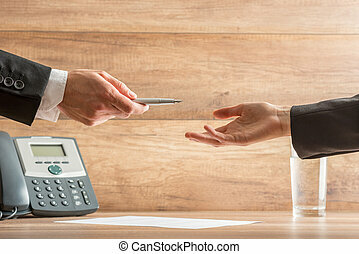 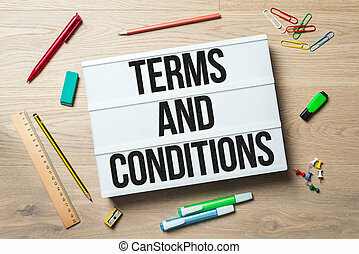 Conceptual Businessman Hand Handing Pen to Business Partner to Sign the Contract on Top of a Wooden Table with Telephone and Glass of Water. 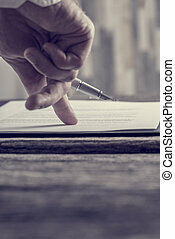 Retro effect faded and toned image of a businessman hand pointing with his finger where to sign a contract or document or sign a subscription papers. 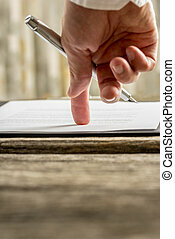 Low angle view of businessman hand pointing with his finger where to sign a contract or document or sign a subscription papers. 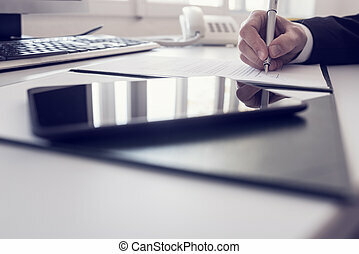 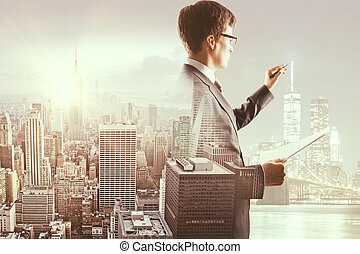 Businessman signing contract in a wide panorama view with a tablet computer with sunlight reflections on the screen.